MARCHMONT Capital Partners, LLC was initially founded in Sarasota, Florida, USA in May of 2005, based on the initiative of Mr. Kendrick Davis White, an expert in corporate finance and private equity fund management with over 18 years of professional experience of full time work in the Russian Federation. The main focus of the company is consulting. Integrating regional entrepreneurs into the global business community through sharing experience and technology, and giving access to markets and alternative funding sources. 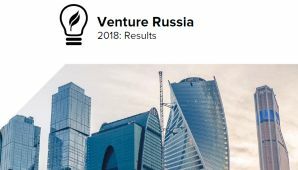 We offer products and services to meet customized demand from our target audiences that include entrepreneurs seeking business expansion, professional managers, and investors who look for new opportunities in the Russian market. Investment forums for business communities in Russia’s key regions; bi-lingual business news website; professional investment consulting services. In 2005 MARCHMONT Capital Partners set up a wholly owned subsidiary in the city of Nizhny Novgorod in Russia with the team of experienced experts. The company also has a wide network of partners throughout largest cities in the country. Over several years of its work in Nizhny Novgorod, MARCHMONT has developed a few successful consulting projects for local industrial and trade companies in the region and other Russia’s regions. As a result of this experience, the decision was made to widen the scope of our investment promotion activities with the creation of a media division focused on promoting Russia's regions as an attractive destination for investment. In 2007-2008 the MARCHMONT Investment Guide in the English and Russian languages was born as an information and analytical journal offering an objective economic assessment of the key regional cities and their most important economic sectors and perspective companies (Kazan, Chelyabinsk, Rostov-on-Don, Novosibirsk, etc). Today all issues of MARCHMONT Investment Guide to Russia are available online on the official website of the company. MARCHMONT's www.marchmontnews.com and marchmontnews.com website is Russia`s only daily business news website in separate English and Russian editions which attracts nearly 7,500 visitors daily from as many as 219 countries, generating almost 2,000,000 page hits per month. The reliable independent finance-and-investment news from Russia`s regions is daily updated and available free of charge. In 2007 MARCHMONT developed and launched a media project: a series of regional conferences Successful Growth and Investment Strategies. The company has held more than 30 conferences and forums in Russia’s 16 key cities, each bringing together more than 100 participants. In 2009 MARCHMONT has developed a new program with its Business Leaders Investment Forums – an expanded set of regions with support from important partners such as: London Stock Exchange, MICEX, UBP Bank, East Kommerts, Ernst & Young, KPMG, PWC as well as many others recognized professionals from the international investment and advisory community. The new Innovation for Business series of investment forums for business leaders covered 12 Russian regions in 2010 alone. Having a wide experience in holding business forums and conferences we are happy to present a new series of Business Leaders Investment Forums “Innovation For Business” in 2011. Regional two-day Forums will bring together business leaders, entrepreneurs, representatives of the political elite, business angels, investors, scientists and specialists of international companies in order to initiate a dialogue on the mechanisms that can be used to increase the investment attractiveness and modernizing regional economies. The program aims to motivate local industrialists, businessmen, venture investors and innovators to cooperate in search of commercially viable projects. 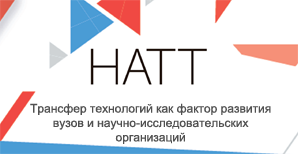 The General Partner of the forum series is the Russian Venture Company. We believe that exchange of opinions within the forums’ framework helps to reveal the innovation potential of Russian regions, form zones of leading economic growth and give a new impulse to science cities. On top of that business will be further sensitized to the expediency of investing in innovation, and developers of innovation projects will get the knowledge of effective investment-raising tools. Collaborative efforts of government, science, innovation entrepreneurs and investors can give effective and comprehensive answers to the today’s’ challenges. We offer various opportunities in the sphere of media partnership, information partnership and advertizing.